I’m finally getting back into the swing of things after my London trip & I’m excited to be continuing with this weekly series throughout the summer months. 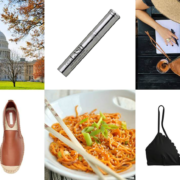 Today I’m sharing a few great sale finds + some affordable styles I’ve got my eye on. I’ve also highlighted the best weekend sales for you below, but be sure to check the Sales Alerts page for a full list of retailers & the current coupon codes you’ll need to shop & save! 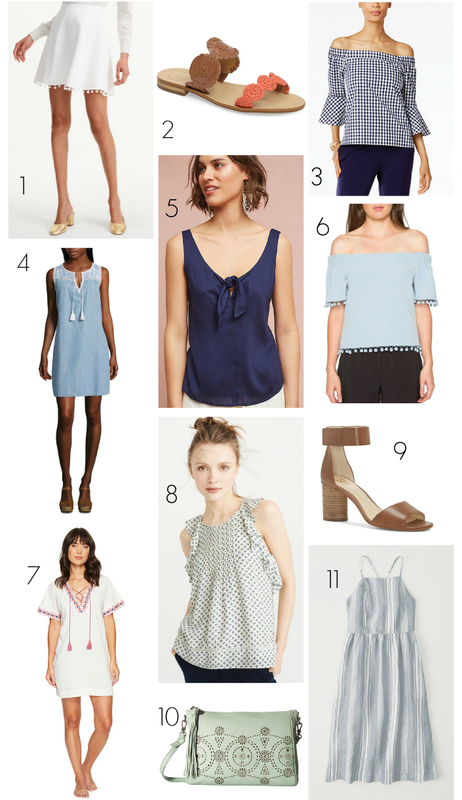 Macy’s is offering 25% off your purchase + free shipping at $49 with code WKND – I’m on the hunt for a 4th of July dress and am trying to decide between this striped shift, this chambray dress or this embroidered option. Club Monaco has an extra 30% off all sale styles (discount taken at checkout) + free shipping at $150 with code FREESHIP – loving this tasseled scarf & this cold-shoulder top. Anthropologie just launched their Summer Tag sale – you can get up to 50% off select styles (prices as marked) – how pretty are these turquoise earrings & this eyelet top?! Side note: If you’re looking for some lightweight layering pieces for the beach or those cooler summer evenings, I recommend this cozy pullover (cones in 3 colors & is super soft!) or this striped sweater (a classic! ).